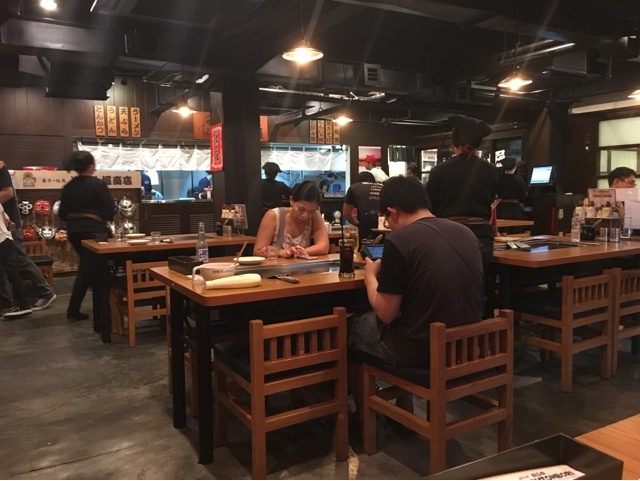 Dohtonbori Philippines, a franchise of the popular Japanese food chain with the same brand name in Japan opened last year (November 24, 2015) in a similarly newly opened building at North East Greenhills in San Juan. They also opened a second store at SM North EDSA last week (January 25, 2016). I've only heard about them through Pop Talk in GMA News TV, one of my favorite local food shows. Dohtonbori was chosen with two other international franchise restaurants for their January 16 episode. So when opportunity came to drop by their Greenhills branch after hours of exhausting car repair work done at Banawe, we Wazed (the app) our way to Dohtonbori. We were warmly greeted right by the door. It was not yet 6PM when we arrived and there were only a few folks instead. As soon as it gets further dark, more and more people came in but the staff continued to serve us wholeheartedly along with everyone else. I was scanning the place while waiting. 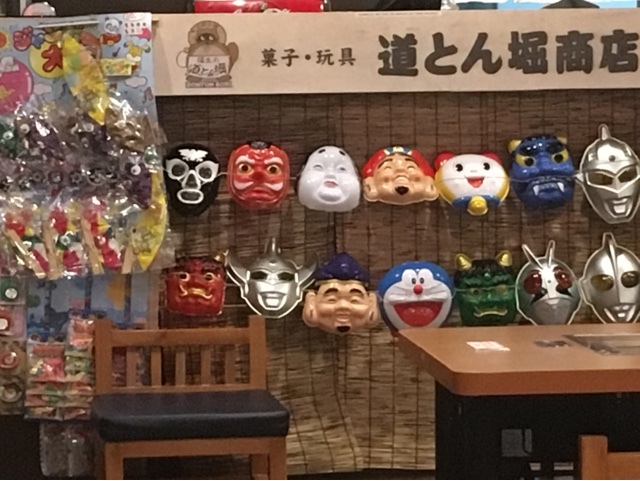 I noticed the kabuki masks displayed by the cashier area (see first image). 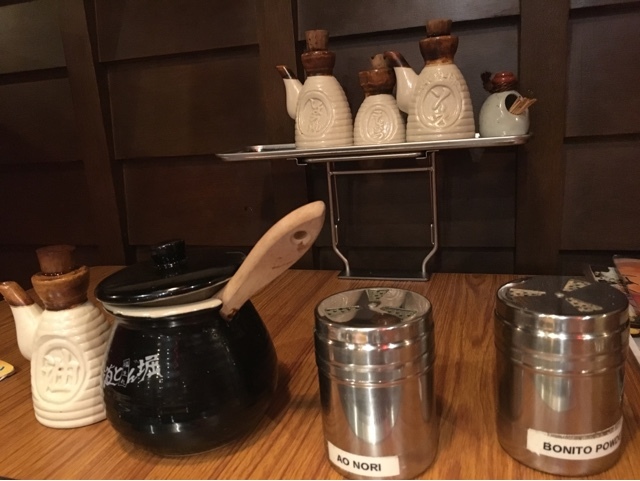 The tables and chairs also replicate Japanese dining areas, although still elevated and not the usual cushioned seat on the floor. 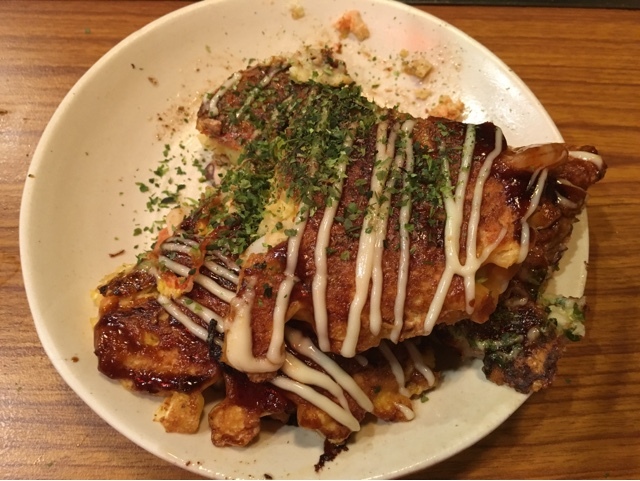 This is how the seafood and deluxe okonomiyaki looks on the grill. 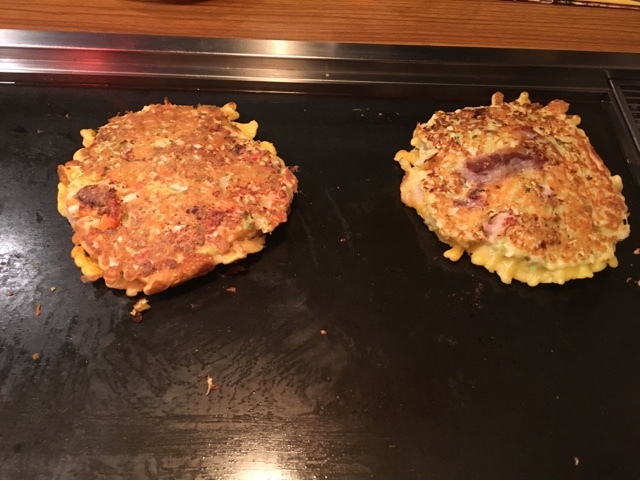 From one of the tables close by, I've seen kids flip their own okonomiyaki. I will know how to do it myself next time. This is how it looks like once plated. Sorry, I already took a bite before the photo. 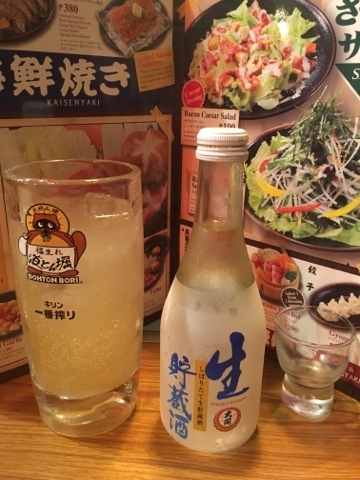 Pair the meal with sake and Japanese apple beer. The latter tastes like the San Mig Ice Apple flavor. I was full with my plate alone, I can no longer order additional items to be grilled. We will surely be back to try other dishes though.